In September 2019, the Paris Committee of the league Against Cancer will award the ‘Prix René and Andrée Duquesne’. 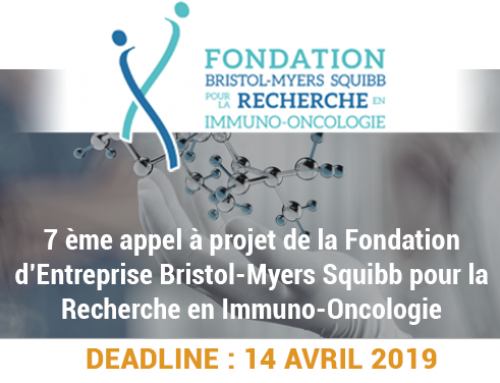 This prestigious prize of € 75,000 will be awarded for the twelfth time in 2019 to a researcher or a team whose work has either led to a major breakthrough or is particularly promising in the field of oncology. At the same time, a prize of the same amount will be awarded by the Institut Pasteur, also a legatee of Mrs Duquesne, for work in other areas of medical and biological research. – list of the most significant publications in oncology research. 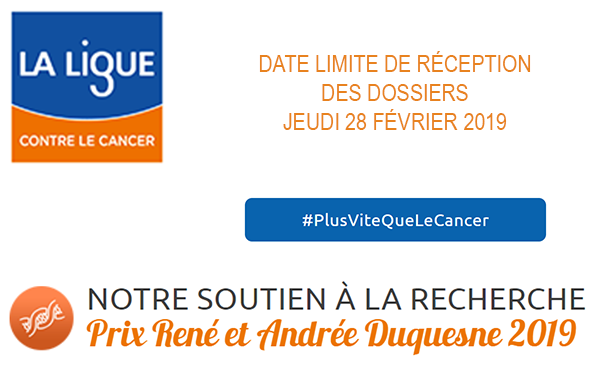 to send by e-mail (cd75@ligue-cancer.net) in the form of a single pdf file and mail in 2 copies to the Paris Committee of the League Against Cancer Price Duquesne 89 Blanqui Boulevard 75013 PARIS.